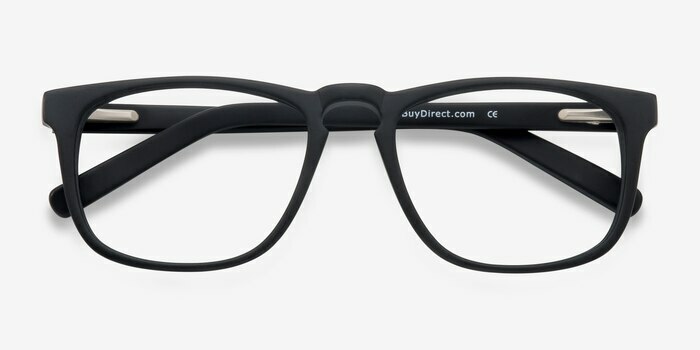 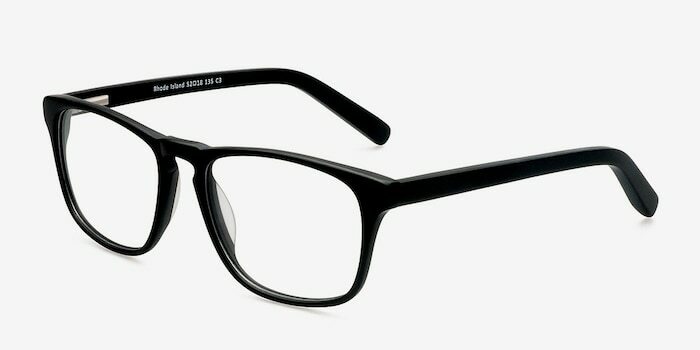 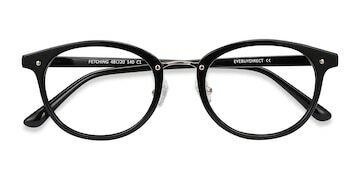 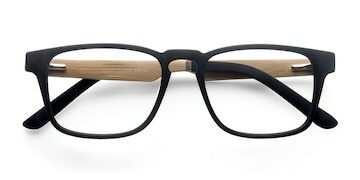 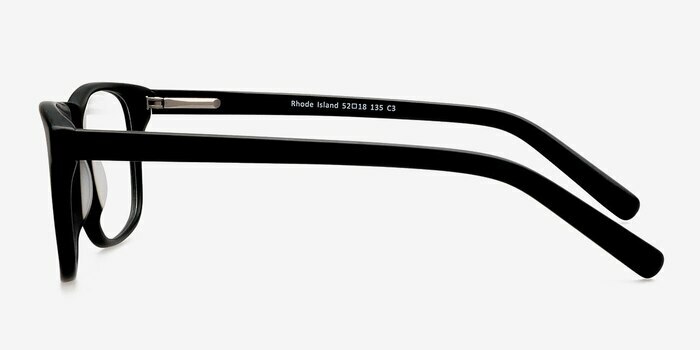 These matte black eyeglasses are determined and simple. 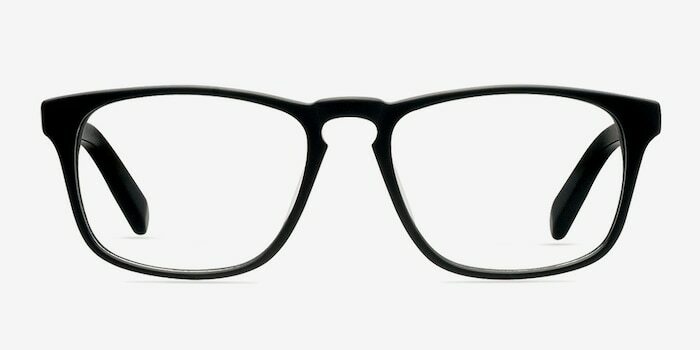 The classic wayfarer style comes in a semi-transparent opaque black finish throughout. 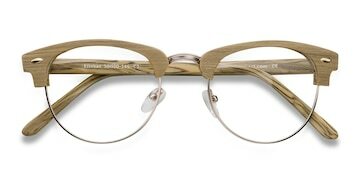 Characteristically vintage details include a keyhole nose bridge. 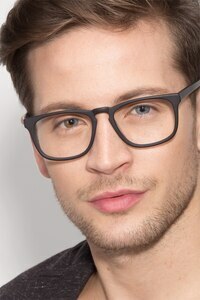 Flexible spring hinges make this look adaptable to both men and women.